Dark waves shimmer with hints of moonlight silver - a stunning abstract picture captured in a piece of natural slate. 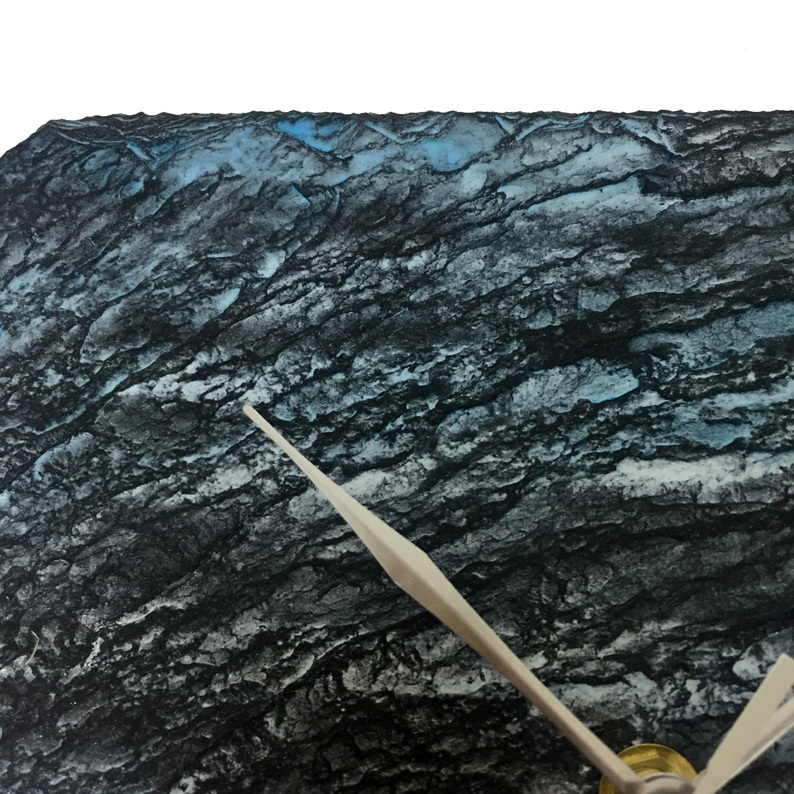 Each wall clock is cut by hand from reclaimed Cornish slate and is unique, no two are alike. The simple and elegant square design offers a numberless face that enhances the natural beauty of the stone. Silver spade-shaped hands finish the look. Treat yourself or offer as a gift! Size H20cm x W20cm.